Through May 19 – “The Restoration’s Constance” at the Trustus Theatre. The setting, between the late 1800’s and 1930’s in Lexington, South Carolina, you’ll meet the fictional character Constance Owen, “an unrealized musical prodigy born to poor cotton farmers several years after the American Civil War” and her journey toward marriage to a mixed-race man and motherhood and all that follows. For more information call (803) 254-9732 ext. 1 or visit http://trustus.org/event/the-restorations-constance/. Through May 20 – “The Book of Mormon” at the Koger Center for the Arts. This nine-time Tony Award winning musical is guaranteed to make you laugh and will have you talking about it long after you attend so don’t miss the chance to see it! For more information call (803) 777-7500 or visit http://www.kogercenterforthearts.com/event.php?id=510. Through May 26 – “Hairspray” at the Town Theatre. This eight-time Tony Award winning musical has come to town and the actors are ready to show you what they can do in this fun and highly entertaining production! For more information call (803) 799-2510 or visit http://towntheatre.com/hairspray/. May 16 – Creating Doll Houses at the Columbia Art Center. 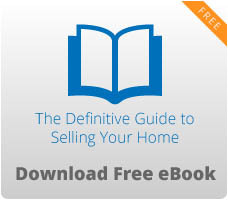 For adults and kids alike, come learn how to create your own doll house! For more information call (803) 545-3093 or visit https://www.columbiasc.net/depts/parks-recreation/May%202018%20Workshops.pdf. May 17 – “The Root Doctors” at the Icehouse Amphitheatre. Spend your Thursday night unwinding with great music, food and drinks, and fun activities for the kids! For more information call (803) 358-7275 or visit http://icehouseamphitheater.com/events/. May 17 – 20 – Shawty – What My Name Iz at the Comedy House. Here is a chance to enjoy some clean comedy with this hilarious comedian! For more information call (803) 798-9898 or visit https://comedyhouse.us/shawty-shawty/. May 18 – Murder in Margaritaville Murder Mystery Dinner at Seven Oaks Park. The Seven Oaks Sleuths adults with disabilities theatre group has put together a Mystery that will require your assistance to solve, with the show including dinner so come see if you can help solve the mystery! For more information call (803) 772-3336 or visit http://www.icrc.net/murder-in-margaritaville-murder-mystery-dinner-2018-05-18. May 18 – Relay for Life Lexington at Lexington High School. Here is a chance for you to honor someone you know who has or has had cancer and to support their recovery or in memory of someone who has lost their battle for cancer and help raise money for research, patient care services, education and prevention initiatives. For more information visit https://www-150p.bookeo.com/bookeo/b_spiritoflakemurray_start.html?ctlsrc2=iW7JIHq3Tvz5Ma2Gh4p62Y7RRnMQrA2NS%2FEVNHrSbzk%3D&src=02n. May 18 – 19 – Governor’s Cup Road Race at the Hilton Columbia Center (the Expo) and the race will be on Main Street in Columbia. The Expo on Friday will include a vast variety of vendors, with races including the Main Street Mile and the Kids Main Street Mile, followed on Saturday by the Half Marathon and the 5K Run/Walk. For more information visit http://governorscupsc.org/. May 18 – 19 – Wild Women’s Weekend at the Skyline Room of the Tapp’s Art Center. This will be a weekend filled with comedy, music, and art with just women in mind! For more information call (803) 988-0013 or visit https://www.tappsartscenter.com/event/wild-womens-weekend-a-two-day-all-female-music-art-and-comedy-weekend/. May 18 – 24 – “Disobedience” at the Nickelodeon Theater. Ronita returns to her hometown for the burial of her Rabi father, but reconnects with her childhood friend, Esti, who is now married, and their passionate relationship is rekindled. For more information call (803) 254-8234 or visit http://nickelodeon.org/films/disobedience/. May 18 – 24 – “RBG” at the Nickelodeon Theater. This documentary gives you some insight into the life and rise of Ruth Bader Ginsburg to U.S. Supreme Court Justice. For more information call (803) 254-8234 or visit http://nickelodeon.org/films/rbg/. May 19 – Taco Fest at the Historic Columbia Speedway. It’s been rescheduled so be sure to come out and get your fill of tacos from over 25 different vendors, with tequila sampling, live entertainment, margaritas, and a lot of great fun! 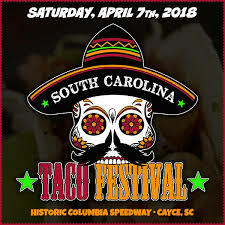 For more information visit https://www.tasteofyourtown.com/sctacofest. May 19 – Forest Acres Festival at A.C. Flora High School. This family friendly event will include live music, magic shows, arts and crafts, and food and beverages from a variety of local restaurants. For more information visit http://www.lexingtonsc.org/community-event/forest-acres-festival. May 19 – Growing and Cooking with Herbs at Wingard’s Nursery. Learn the art of growing your own herbs and how to use some of them in cooking to replace salt and butter. For more information call (803) 359-9091 or visit https://wingardsmarket.com/product/growing-cooking-herbs/. May 19 – Rhythm on the River: “Bellavida” at the Riverfront Amphitheater in West Columbia. Spend a spring evening out under the stars and on the River with shuttles picking up attendees at the Capital Square Shopping Center on Hwy. 378 and the parking lot at 435 Meeting Street, behind the Terra Restaurant. For more information call (803) 939-8613 or visit http://www.cwcchamber.com/cmc-rhythm-on-the-river-concerts.html. May 19 – Preservation Workshop – Restoring Historic Homes at 723 Laurel Street. Explore the preservation of a circa 1910 home in the Arsenal Hill District that will showcase the final results, including the restoration of the original heart pine floors, interior molding, and original windows. For more information call (803) 252-1770 ext. 23 or visit https://www.historiccolumbia.org/events/2018/2018-05/preservation-workshop-restoring-historic-homes. May 19 – Mother Daughter Paint and Tea at Seven Oaks Park. Get together with your mother, daughter, grandmother and/or guardian for some fun time together painting, tea, and finger foods! For more information call (803) 772-3336 or visit http://www.icrc.net/mother-daughter-paint-tea-2018-05-19. May 19 – Touch-a-Truck at Saluda Shoals Park East. Bring the family out to see the variety of trucks and tractors with kids getting a chance to get hands-on experience with large commercial vehicles and talk with the people who operate them. For more information call (803) 731-5208 or visit http://www.icrc.net/touch-a-truck-2018-05-19. May 19 – “Sourwood Honey Tribute” at the Icehouse Amphitheater. You won’t want to miss spending your Saturday night with one of South Carolinas legendary bands and all of its original members and guest musicians from VillaNova and opening act guest, Emma Kate McClain. For more information call (803) 358-7275 or visit http://icehouseamphitheater.com/events/. May 19 – Open Car and Truck Show at Spring Valley High School. Enjoy a day viewing some of the most amazing cars and trucks, or plan to enter your own, with trophies for the winners in various categories, with the event also including an auction, with all proceeds benefiting the Spring Valley Automotive program. For more information visit http://www.capitolcitycorvetteclub.com/pdf/2018%20Forms/2018SHOWFLYERFINAL.pdf. May 19 – South Carolina Tour de Cure at the Robert Mills House. This event, benefiting the American Diabetes Association, will include a 15 mile, 35 mile and 65 mile bike ride and a 5K run and walk. For more information call (800) 342-2383 ext. 3293 or visit http://main.diabetes.org/site/TR/TourdeCure/TourAdmin?pg=entry&fr_id=12310. May 19 – The Ultimate Challenge Mud Run at the Leatherneck off I-26 off Old Sandy Run Road at exit 125 in Gaston. If you like physical challenges, this is the event for you with 6.2 miles that includes 36 military type obstacles that have been created by marines, with the course being changed to create different challenges for past participants, so come prepared to get muddy, or just come out and cheer your favorite team on! For more information visit http://www.ultimatechallengemudrun.org/. May 19 – First Responders Appreciate Day at Finlay Park. Spend a day honoring our first responders with rides for the kids, live bands covering 4 genres of music, vendors, games, and if you bring two cans of food to donate to Harvest Hope Food Bank, you will be entered to win a door prize. For more information visit https://www.scfirstresponders.com/. May 19 – 20 – Fill the Red Truck Drive in Shandon at the corner of Heyward and Holly Streets. The City of Columbia Animal Services is in need of some supplies so check out their list on line and see if you can help them out with what they need to help those animals they find be safe and supported until they find their forever home! For more information call (803) 776-PETS or visit https://www.columbiasc.net/headlines/05-02-2018/center-article-fill-the-red-truck. May 19 – 20 – Columbia Conservatory of Dance at the Harbison Theatre. The students are set to show you what they have learned over the year and have a show that won’t disappoint so come out and support all of their effort and hard work! For more information call (803) 407-5011 or visit https://www.harbisontheatre.org/tickets-productions/columbia-conservatory-dance-2018-commencement-performance. May 20 – “The Umbrellas of Cherbourg” at the Nickelodeon Theater. This beautiful musical is an emotionally riveting tale of love between working class youth. For more information call (803) 254-8234 or visit http://nickelodeon.org/films/the-umbrellas-of-cherbourg/. May 20 – Freeway Music Showcase at the Music Farm. Spend your Sunday enjoying a free afternoon of music and fun! For more information visit http://musicfarm.com/event/freeway-music-showcase/. May 22 – Build a Backyard Pond Oasis – Frog Ponds & Water Plants at Wingards Nursery. Learn how to create and maintain your own water garden to benefit birds and other wildlife in your yard and what plants to use in your water garden. For more information call (803) 359-9091 or visit https://wingardsmarket.com/product/build-backyard-pond-oasis/. May 23 – Alcohol Ink Tiles at the Columbia Art Center. This art form is very different and very abstract, so come out and see what you can create! For more information call (803) 545-3093 or visit https://www.columbiasc.net/depts/parks-recreation/June%202018%20Workshops.pdf. May 23 – “Josie and the Pussycats” at the Nickelodeon Theater. A small town girl band becomes famous only to discover the despicable music industry. For more information call (803) 254-8234 or visit http://nickelodeon.org/films/josie-and-the-pussycats/. May 24 – “Finesse” at the Icehouse Amphitheater. Spend an evening unwinding under the stars with good music, good food and drink, and fun activities for the kids. For more information call (803) 358-7275 or visit http://icehouseamphitheater.com/events/. May 24 – 27 – “Ragin Cajun John Morgan” at the Comedy House Theater. Come out for an evening of fun and laughter with this great comedian! For more information call (803) 798-9898 or visit https://comedyhouse.us/comedy-calendar/. May 25 – Build a Rain Barrel at the EMS Station on Ball Park Road in Lexington. Here is a chance to create your own rain barrel to collect rain to water your plants! For more information call (803) 358-8679 or visit http://www.lexingtonsc.org/community-event/build-your-own-rain-barrel-workshop. May 25 – Vista Queen at the Trustus Theatre. Come out and vote for your favorite “Queen”. For more information call (803) 254-9732 ext. 1 or visit http://trustus.org/event/vista-queen/. May 26 – Bird Walk on the Timmerman Trail in Cayce. If you enjoy birding, here is a chance to learn about some of our local birds and find out what plants are great to put in your yard in hopes of enticing the birds to visit you! For more information call (803) 359-9091 or visit https://wingardsmarket.com/product/bird-walk-timmerman-trail/. May 26 – Walk Against Homelessness at Finlay Park. Help educate others about the seriousness of homeless by participating in this event with all proceeds to support this population and advocate for abuse and sexual assault which often leads to homelessness. For more information call (803) 447-7224 or visit https://www.eventbrite.com/e/bkbg-walk-against-homelessness-tickets-43345886714?aff=es2. May 26 – “Travelin’ Kine” and “Finnegan Bell” at Rhythm on the River at the West Columbia Riverfront Amphitheater. Fill your Saturday night with some great music and great fun but be sure to visit the web site for instructions on where to park! For more information call (803) 794-6504 or visit http://www.cwcchamber.com/cmc-rhythm-on-the-river-concerts.html. May 26 – “Shut Up and Play the Hits” at the Nickelodeon Theater. In 2012 the dance rock band LCD Soundsystem planned their own funeral at Madison Square Gardens, with this documentary including the four hour show and the realities of a band composing its’ own eulogy. For more information call (803) 254-8234 or visit http://nickelodeon.org/films/shut-up-and-play-the-hits/. May 27 – “Black AF” at the Trustus Theatre. This production, written and performed by local writer and musician, Preacher Jacobs, explores his experience growing up black in the south, with a combination of TED Talk, stand-up comedy, and musical performance. For more information call (803) 254-9732 ext. 1 or visit http://trustus.org/event/black-af/. 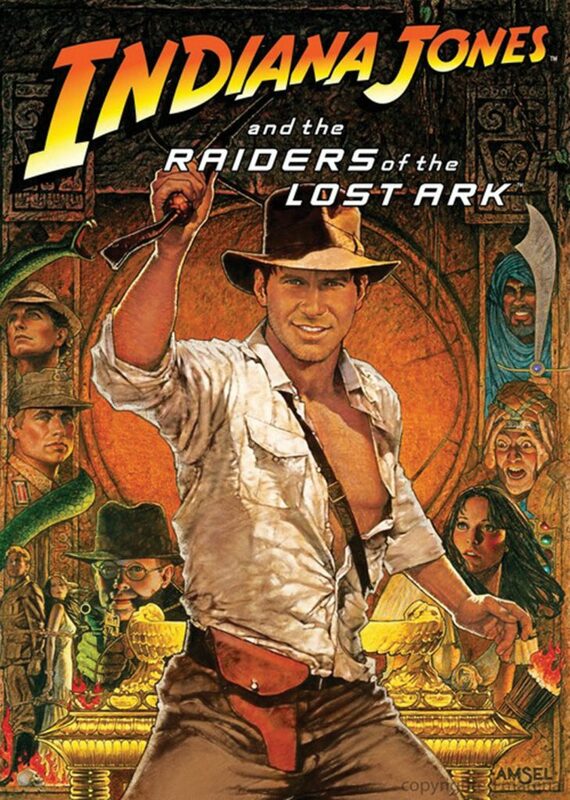 May 28 – “Indiana Jones and Raiders of the Lost Ark” at the Nickelodeon Theater. This is surely on everyone’s list of favorite classic movies so come out and enjoy another viewing! For more information call (803) 254-8234 or visit http://nickelodeon.org/films/indiana-jones-and-the-raiders-of-the-lost-ark/. May 29 – “The Love Witch” at the Nickelodeon Theater. This great thriller from the 60’s explores female fantasy and the “repercussions of pathological narcissism. For more information call (803) 254-8234 or visit http://nickelodeon.org/films/the-love-witch/. June 2 – EcoFab Trashion Show at the Skyline Room of the Tapp’s Art Center. Come see what creations the selected artists came up with for this fun event! For more information call (803) 988-0013 or visit https://www.tappsartscenter.com/event/ecofab-fashion-show-2018/. June 2 – July 28 – Summer Concert Series at Finlay Park. Fill your summer Saturday nights enjoying music, food, beverages, and fun in this beautiful park in downtown Columbia. For more information visit https://festivalnet.com/11548/Columbia-South-Carolina/Festival-Concerts/Columbia-Summer-Concert-Series.